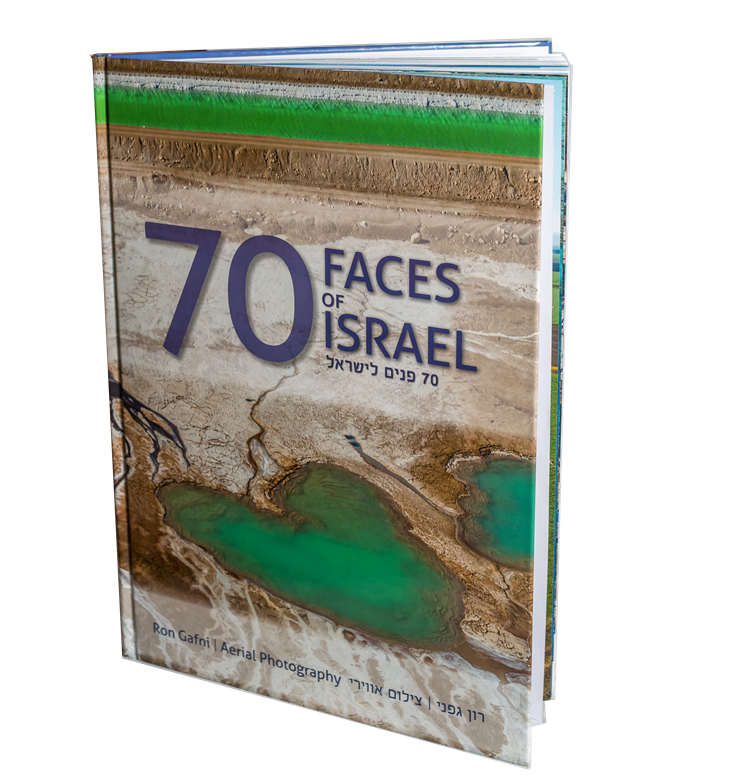 Our new gift book for Israel's 70th birthday! 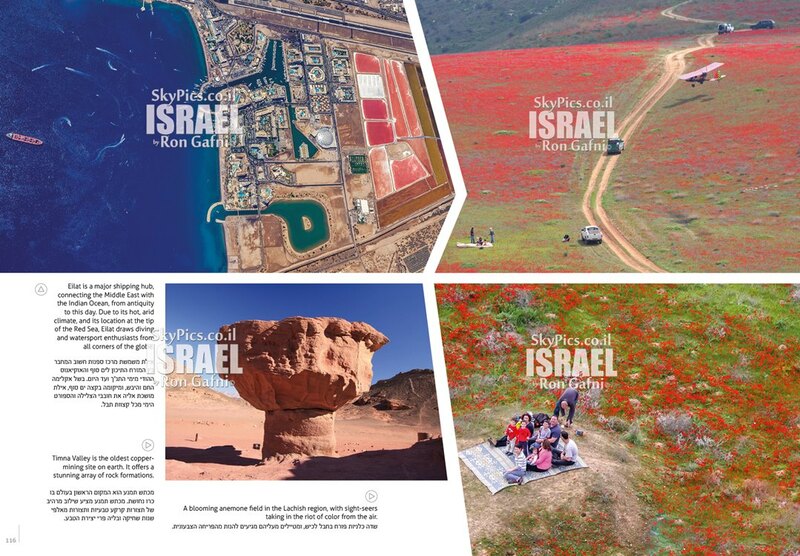 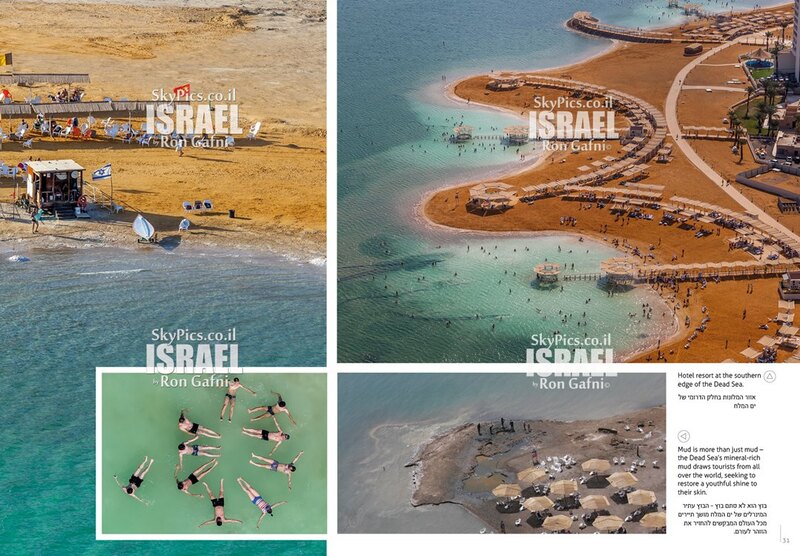 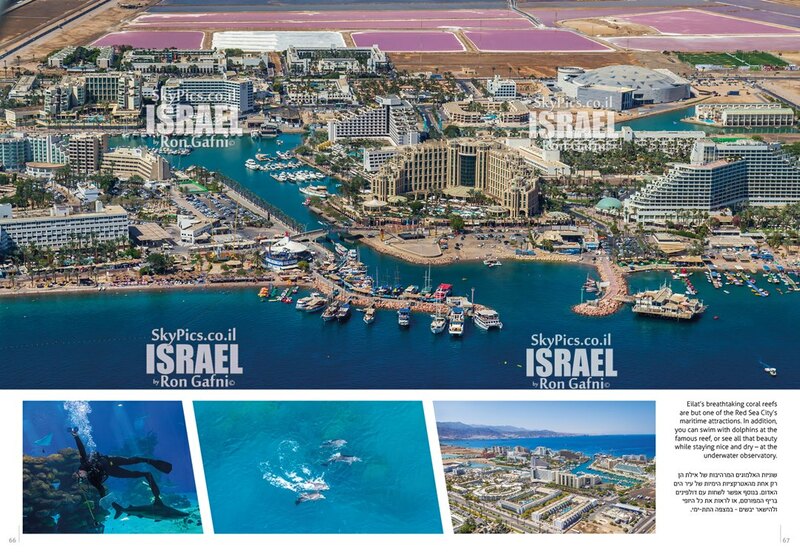 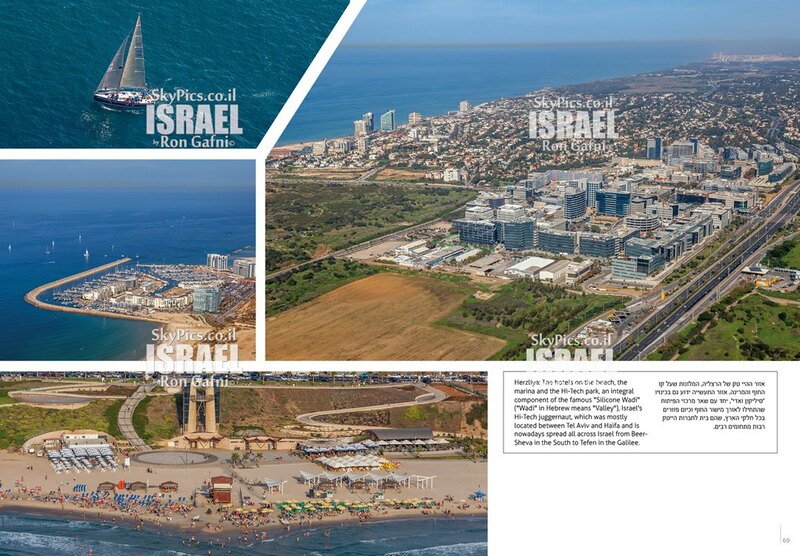 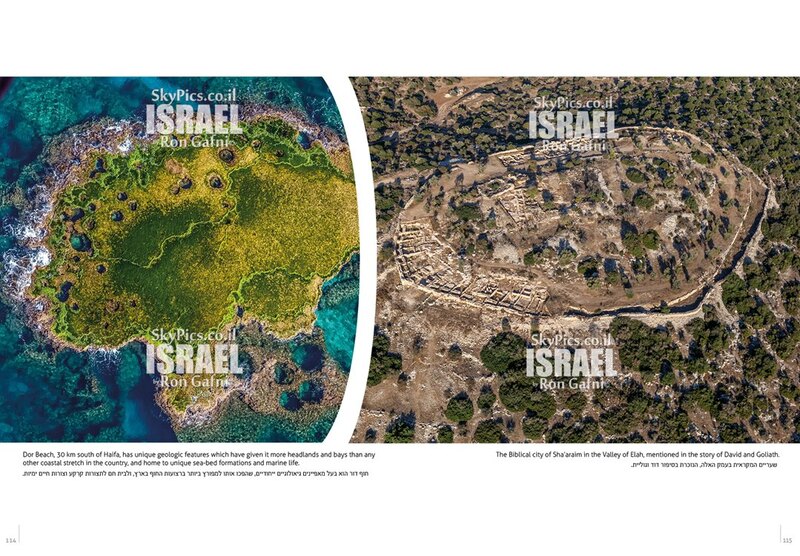 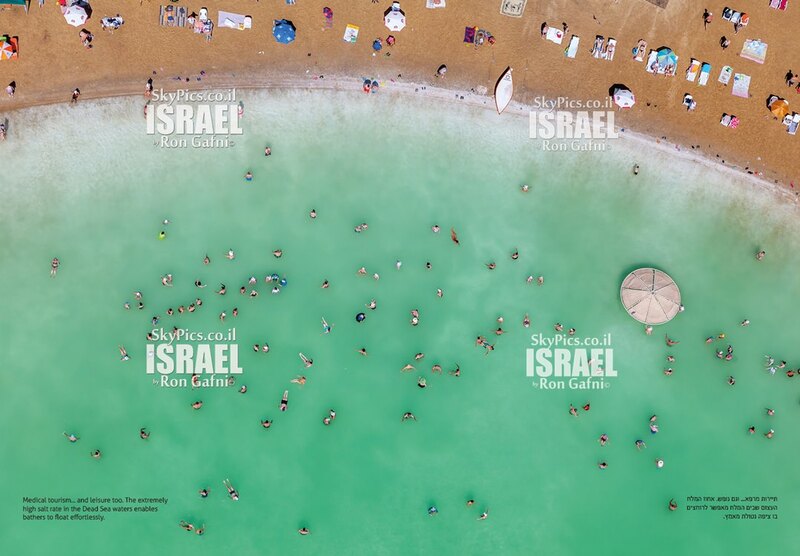 "70 Faces of Israel" is filled with spectacular aerial photographs of Israel. 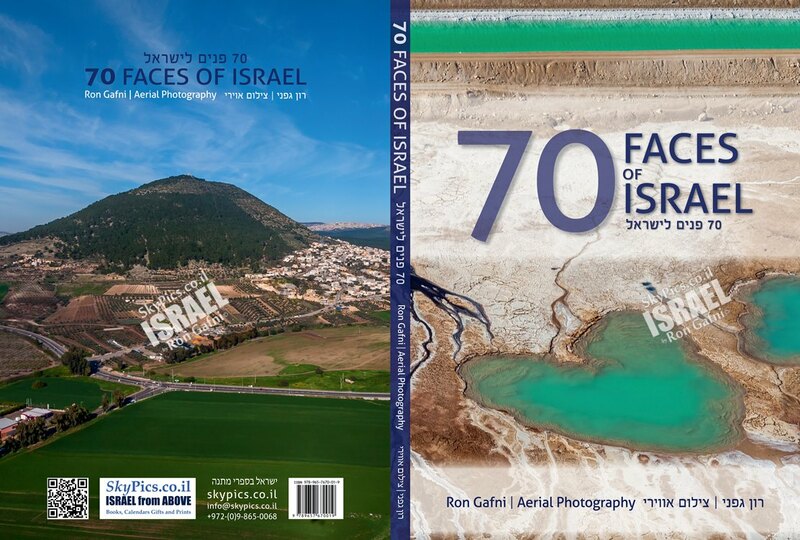 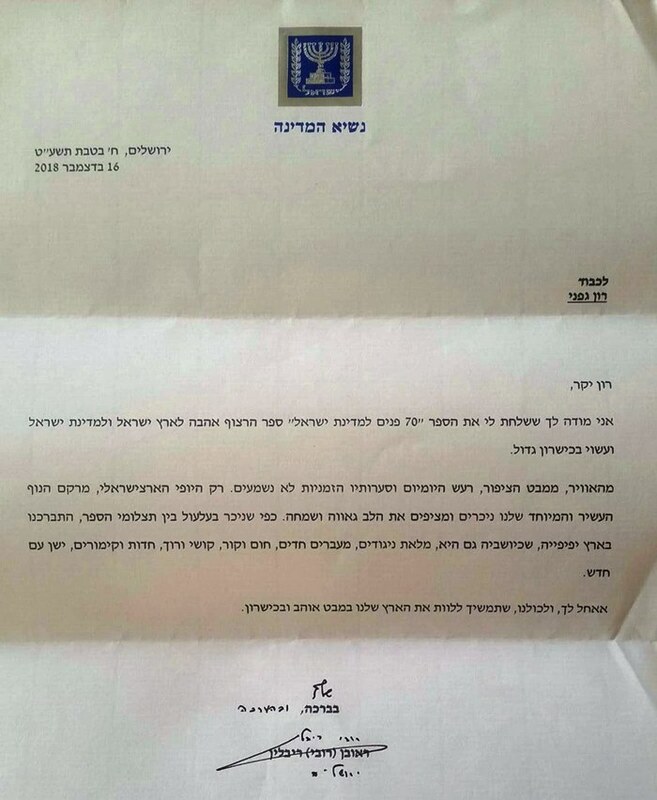 It is a great Israeli gift for people interested in Israel that is impressive and distinguished. 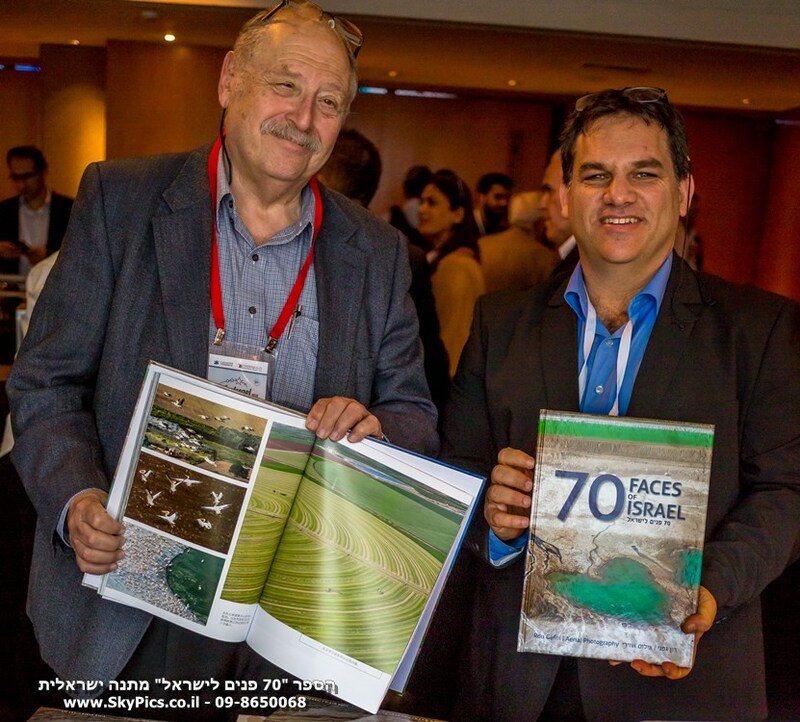 An Israeli gift with the latest aerial photos of our beautiful country that tell the story of Israel. 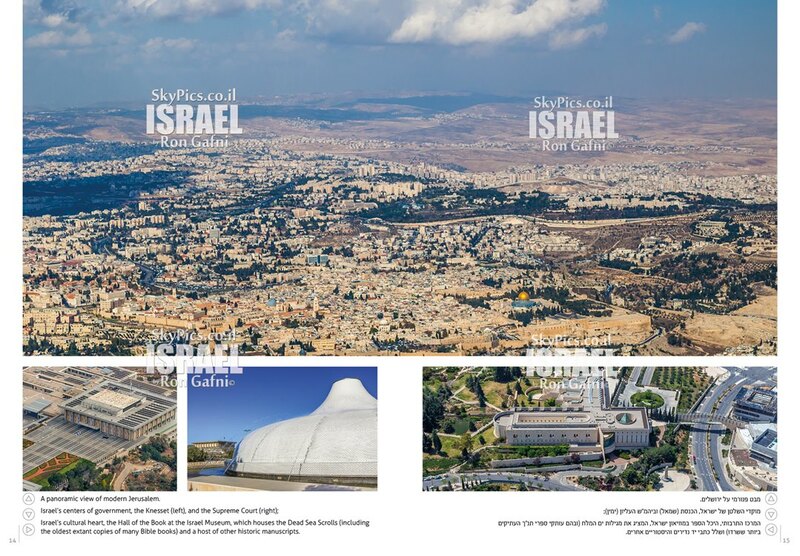 See the old and the new, the holy land, cities, nature, and agriculture from above. 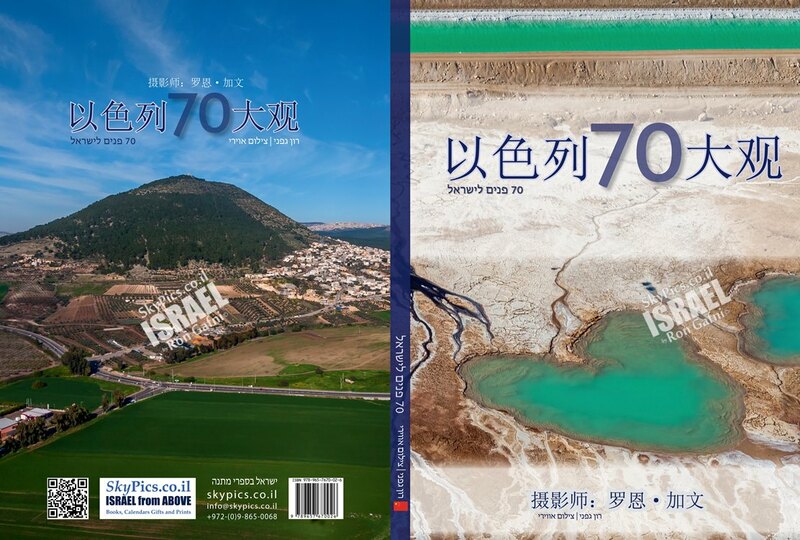 This book is currently available in English, Chinese, and other languages. 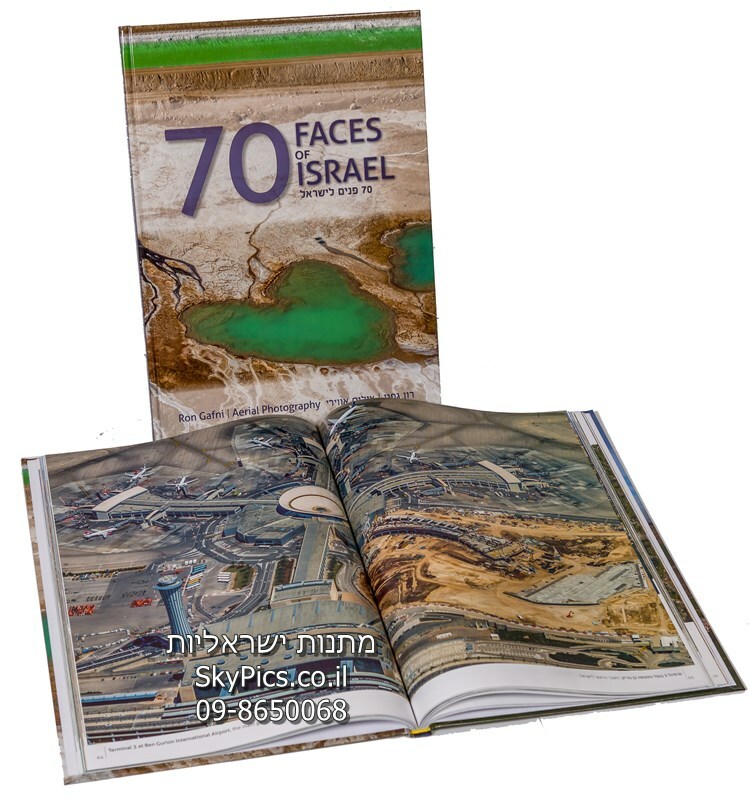 You can brand the book with your company's logo and greeting on the inside front cover to make the gift more personable and unique. 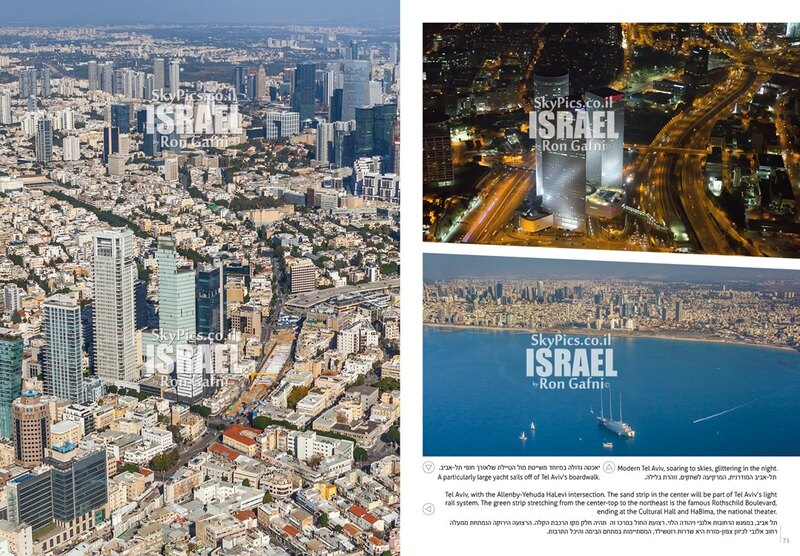 This book is the product of photographs by aerial photographer Ron Gafni. 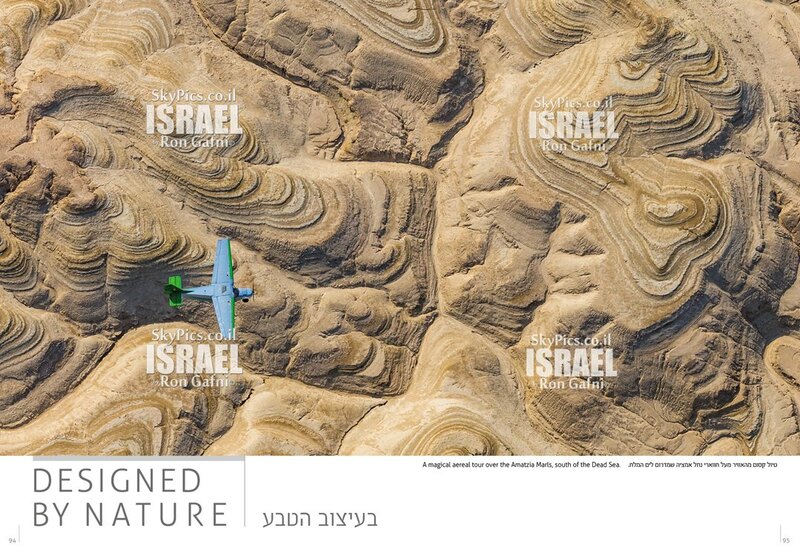 Every year, he adds more pictures to his collection by flying on a variety of aircraft in order to show Israel from a unique perspective. 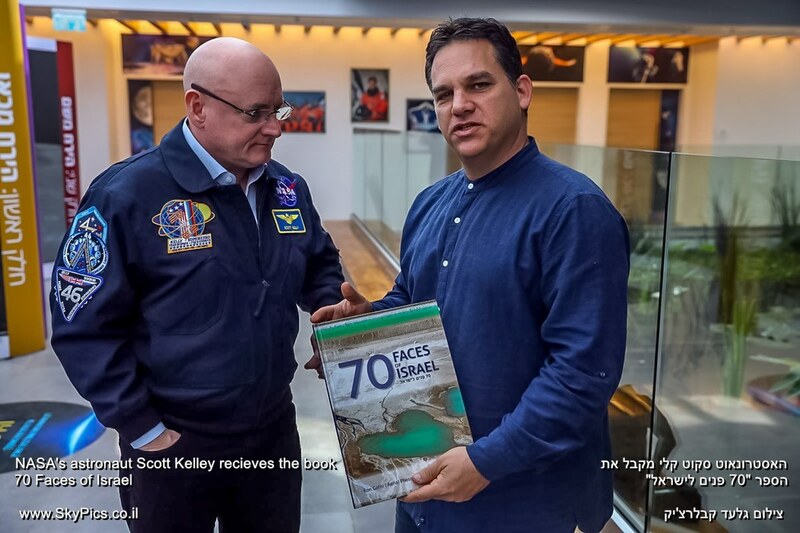 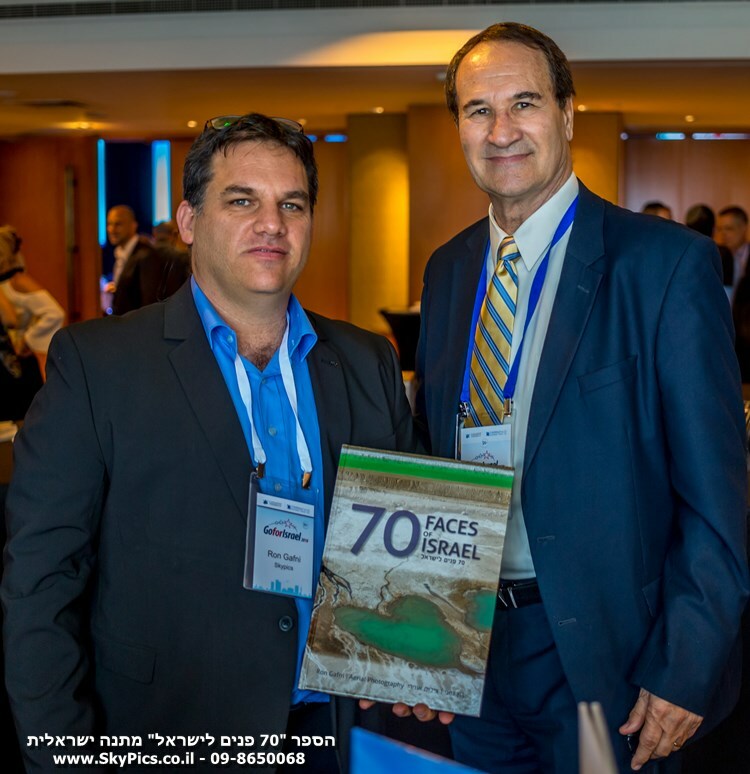 NASA's astronaut Scott Kelley complimenting the gift book "70 Faces of Israel"
Thank you Mr. Rueven (Rubi) Rivlin, President of the state of Israel for the great compliments to our book "70 Faces of Israel"